The world’s first street art disaster movie. 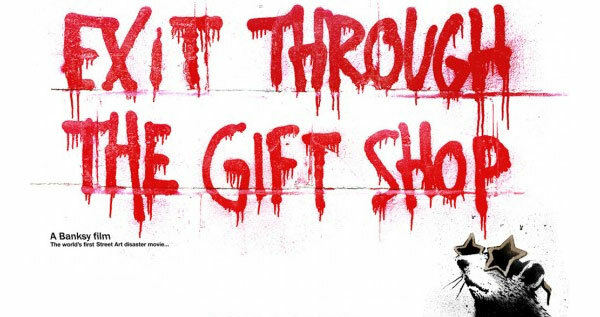 Exit Through The Gift Shop is the groundbreaking film from Banksy, capturing the exhilarating behind-the-scenes world of graffiti art, an eccentric Frenchman tries to film and befriend Banksy, only for the artist to turn the camera back on its owner with spectacular results. Featuring exclusive footage of Banksy, Shepard Fairey, Invader and many more of the world's most infamous graffiti artists at work, Exit Through The Gift Shop is the hilarious true story of low-level criminality, companionship and incompetence. The story of how one man set out to film the un-filmable. And failed.